The Coastal Boating Course starts Feb. 5 at Darien's Noroton Yacht Club. Registration and information available at www.dsps.darien.org This course offers state certification, plus the study of marine charts, radio, lines and more. 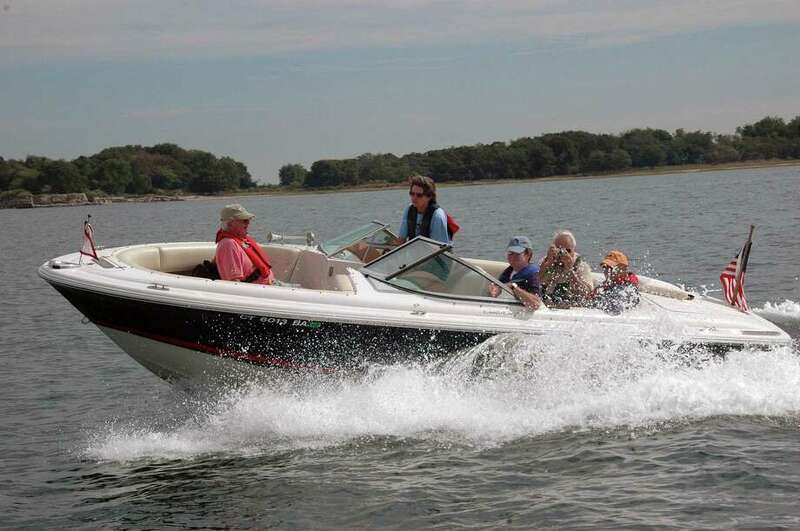 A Safe Boating Course will be presented at Darien’s Noroton Yacht Club at 7:30 p.m. on Feb. 5, continuing on consecutive Tuesday evenings for six classes, a review and an exam. The course will be presented by members of the Darien Sail & Power Squadron. It is the last presentation of the course for this boating season. Emphasizing basic coastal boating skills, the course covers basic boat handling and seamanship, equipment and regulations, an introduction to charts and aids to navigation, basic piloting, and navigation rules. The course is directed at general, practical issues of interest to all boaters, and is not targeted to either power or sail. Graduates of the course are awarded a diploma that is recognized by the state in their award of the Safe Boating Certificate, along with the Coastal Boater Endorsement and the new Safe Water-skiing Endorsement. Members of this course will be invited to join in the Squadron’s “Spring Refresher” — a morning of “On-The-Water” activities on May 18. The “On-The-Water” program will allow students to practice what they learned in the classroom: the use of charts, radios, lines, anchoring, and more. This program mixes classroom and on-the-water activities and has become very popular as students are assigned to boats in small groups, with everyone taking part in the exercises. The state’s Safe Boating Certificate regulations apply to all operators of vessels registered in the state, regardless of age. The cost of the class is $95 includes the text book, charts and plotting equipment. Although registration is not necessary, class materials may be reserved by filling in the form at www.dsps.darien.org or by calling 203-656 -1129 for further information. Those interested may also send an email to dsps@optonline.net to receive a schedule of classes listing the topics that will be discussed on each date. A morning of tournament-style Mah Jongg play will take place at the Darien Community Association with instructor and longtime Darien resident Donna Holt. All levels are welcome. This event will take place on Jan. 25 (snow date is Feb. 1) and begin at 9 a.m. with check-in, coffee, tea and refreshments. At 9:30 a.m., play begins promptly with three rounds of three games each. At 12:30 p.m., prizes will be awarded. The cost is $40 for DCA members and $55 for nonmembers. For questions regarding the event, contact Holt at donnasemail08247@gmail.com. Payment is required by Jan. 18. Registration is available online at dariendca.org, or by contacting the DCA at 203-655-9050 ext. 10 or info@dariendca.org. The program begins at 2 p.m. in the Community Room at the library and is free and open to the public. “RBG” is an award-winning documentary which chronicles the personal and professional life of the Supreme Court justice Ruth Bader Ginsberg. The 96-minute film is rated PG. Twenty-one years ago, a major Hollywood film burst on the scene, capturing the hearts of millions and garnering several Oscars, including Best Film and Best Original Screenplay. That movie, “Shakespeare in Love,” has been adapted for the stage and gets its Connecticut premiere at Stamford’s Curtain Call, beginning Feb. 1. “Shakespeare in Love” is a fictitious account of the romantic life of William Shakespeare as he sets out to write “Romeo and Juliet.” The story is, at heart, a romantic comedy in which the young Shakespeare finds falling for the courtly Viola de Lesseps, who has disguised herself as a boy in order to perform on stage. The Stamford-based theatre company is no stranger to the works of Shakespeare, having produced an annual outdoor production since 2004. Performances will be held Friday and Saturday evenings at p.m. and Sunday afternoons at 2 p.m. beginning Feb. 1 and continuing through Feb. 23. The Kweskin Theatre is located at The Sterling Farms Theatre Complex, 1349 Newfield Ave., Stamford. Doors open one half hour before show time. Tickets are $35 for adults, $25 for senior citizens and $17.5 for children. Thrifty Thursday tickets are $27.50 for performances on Feb. 14 and 21.